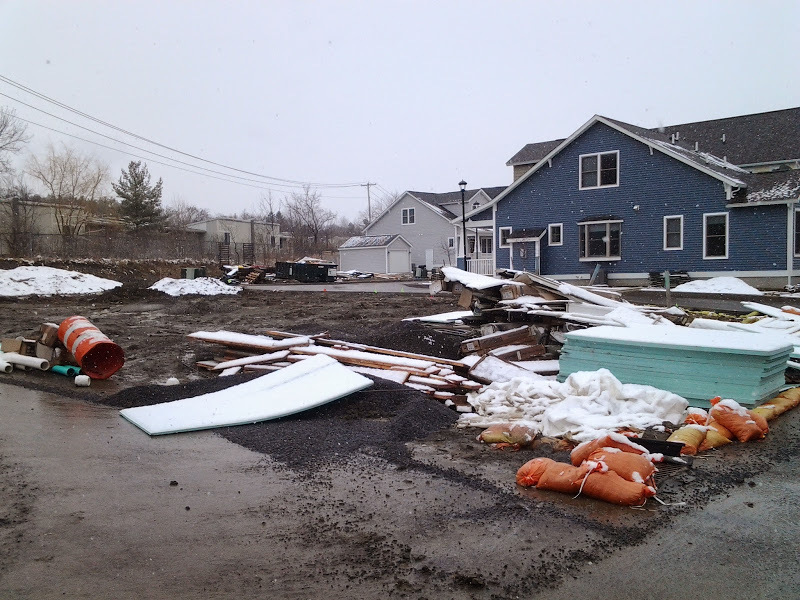 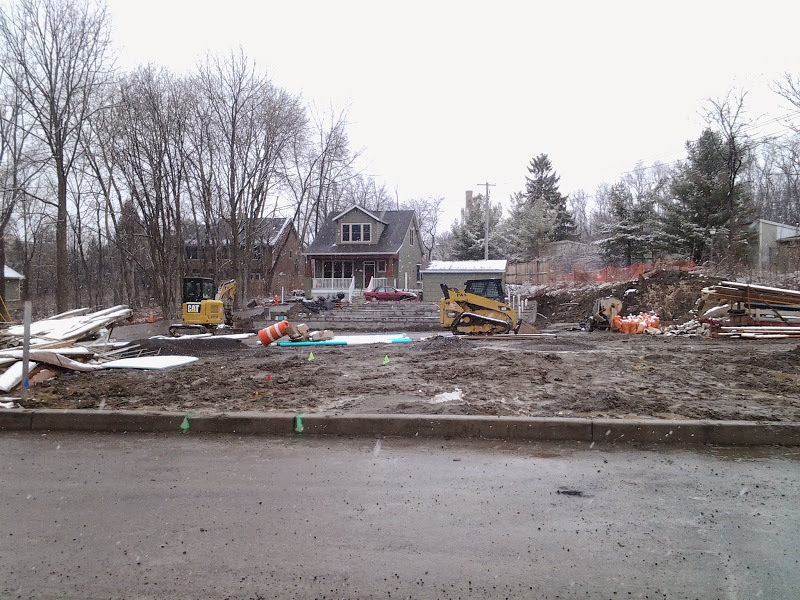 Over at the Belle Sherman Cottages off of Mitchell Street, work is underway on the first set of five townhomes, lots 25-29. 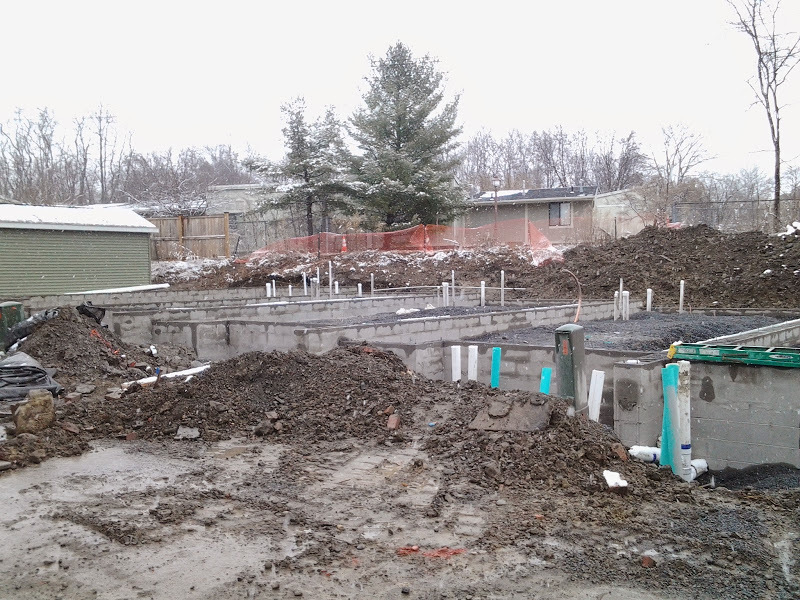 The CMU block wall foundations have been assembled and look ready for the Simplex modular pieces to be brought onto the site and fitted. 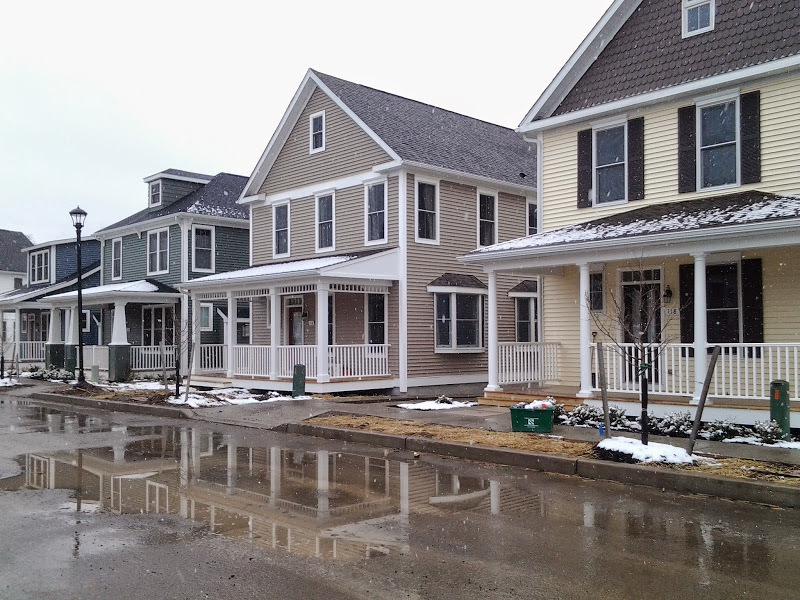 The houses are built using four modules, but the size of the townhouse lots suggests these might have only two modules per unit. 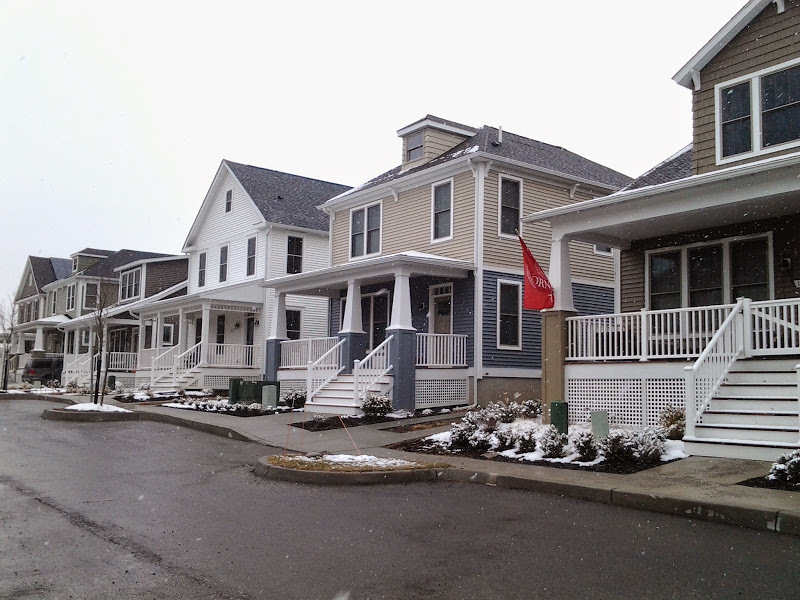 The townhouse units sold out fairly quickly, just a few weeks. 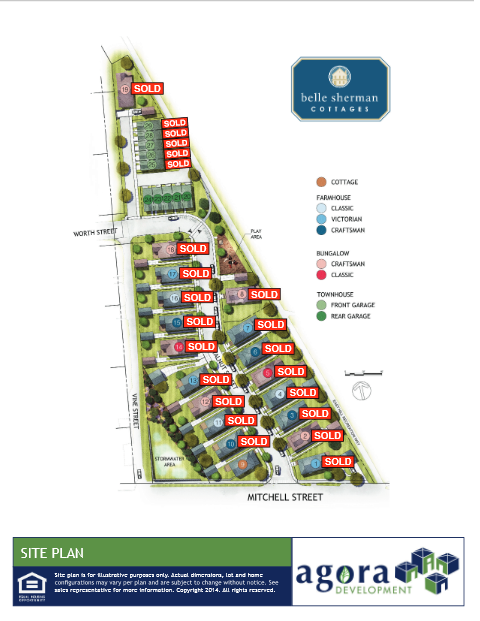 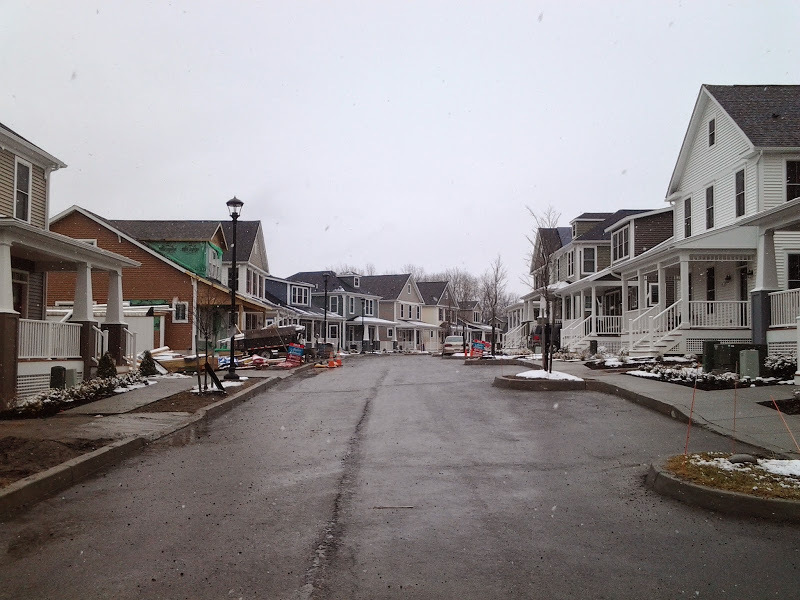 Sales are underway for the second set of townhomes (lots 20-24), which are expected to be built this year as well. 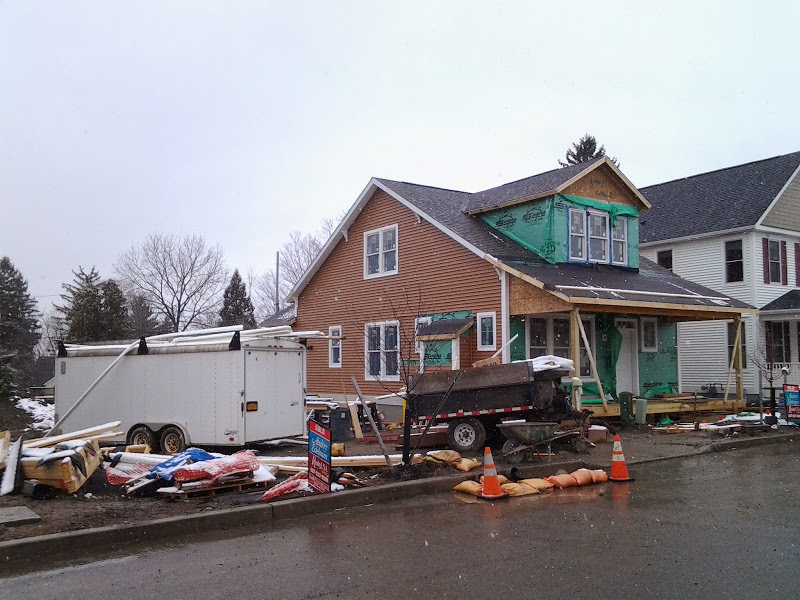 Elsewhere on the site, the “Classic Bungalow” on lot 12 has been assembled and is undergoing lap siding installation (“Mountain Cedar” color, with a lighter “Savannah Wicker” tan color planned for the dormer). 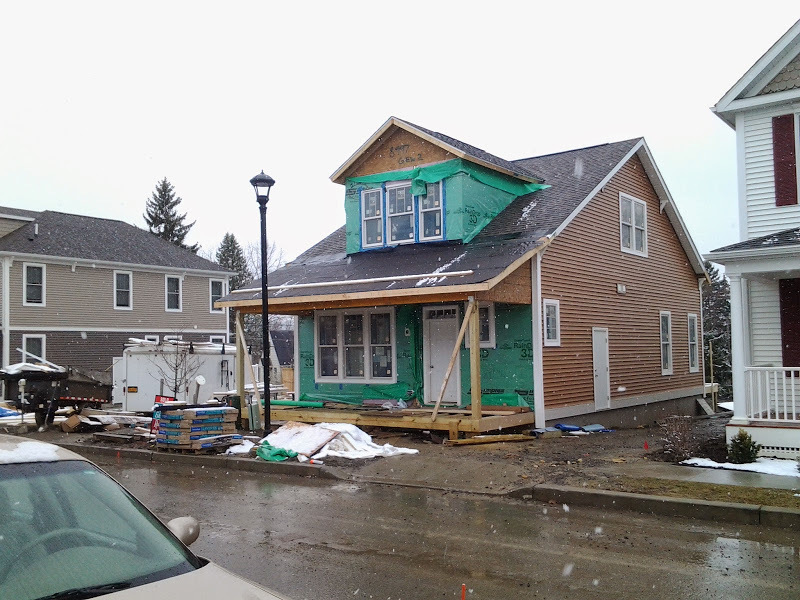 The porch is being assembled and exterior trim is being installed. 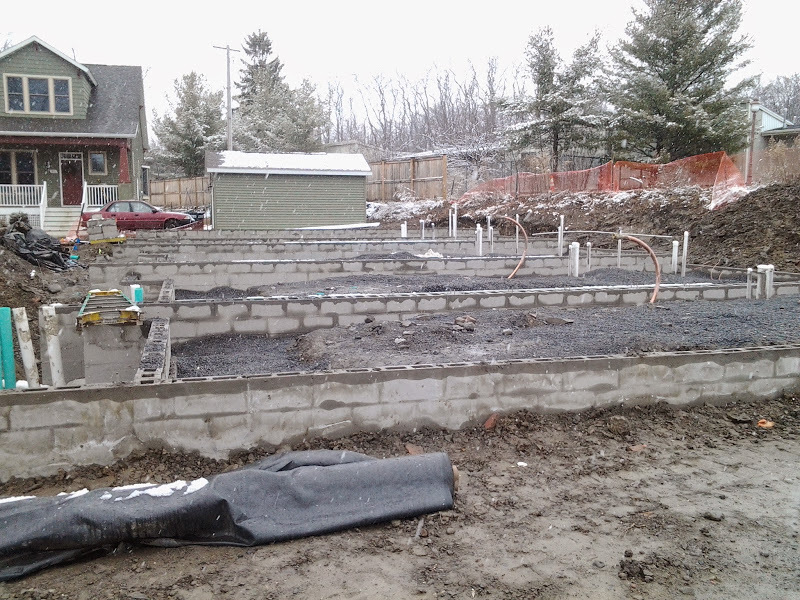 If you’re interested in learning more about the construction process, there’s a little more info in my previous post here, and on Ithaca Builds here and here. 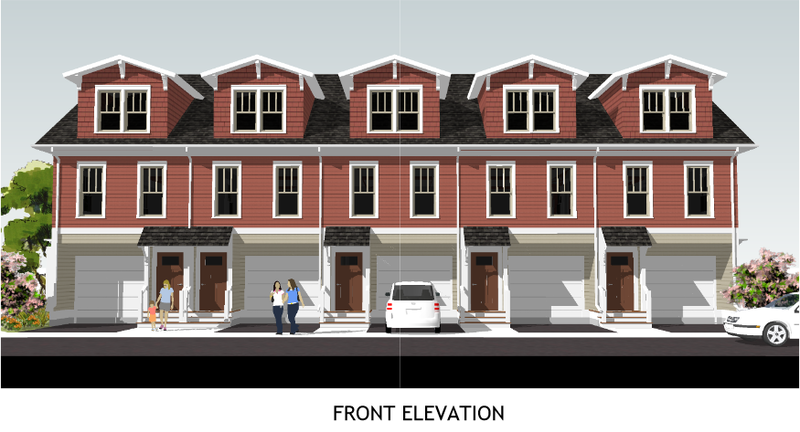 Once completed, there will only be two unbuilt home lots, the already-sold “Autumn Yellow” farmhouse planned for lot 11, and the unsold and un-marketed lot 9.